Discover one of the newest trails in Seneca Creek State Park, far from the main Clopper Road campus. We will hike the section of the trail between Old River Road and the parking lot on Montevideo Road, approximately 4.5 miles round trip. There is a wet-foot crossing of a small stream on this section that most people will be able to jump across. Trail could be snowy/muddy/wet/frozen, depending on recent weather, so please dress accordingly and bring water to drink. Met at 16345 Old River Road. 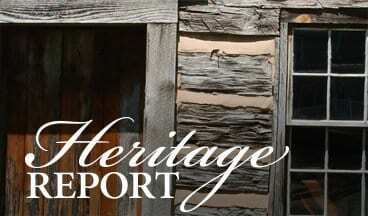 Receive updates on Heritage Montgomery news & events! What can Heritage Montgomery do for you?